Mountaineering Scotland has expressed concern over the way in which new compulsory car parking charges have been introduced at Cairn Gorm. According to CairnGorm Mountain Ltd, which manages the snowsports centre, the car parks are used by an average of 220,000 visitors a year. Besides snowsports enthusiasts, the car parks at the centre are used all year round by hillwalkers and climbers heading into the northern Cairngorms and the plateau beyond. The �2 day rate for cars, �8 for minibuses and campervans and �25 season pass apply to both the Coire Cas and Coire na Ciste car parks and replace a voluntary scheme. CairnGorm Mountain Ltd, operated by Natural Retreats, said the voluntary scheme had failed to raise enough revenue for car park maintenance, with only one vehicle in 20 making a contribution. Mountaineering Scotland has questioned the level of consultation with user groups which preceded the announcement of the compulsory charges. 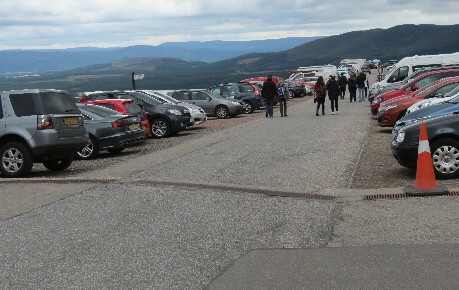 �The car parks at Cairngorm are in a poor state, and we would have liked to see more obvious investment of the existing voluntary contributions in improved car park facilities before the introduction of compulsory charges. CairnGorm Mountain Ltd has said that as well as helping to maintain the car parks, the additional revenue will support environmental projects, footpath building and maintenance, and the provision of a 24-hour public toilet facility. The charges, which came in to force on 22 June, will be reviewed in the autumn. Over in the west, Nevis Range Mountain Resort also started charging for parking last year. It charges �3 per car between May to October. Locals who live in Lochaber are allowed to park all year round free of charge.